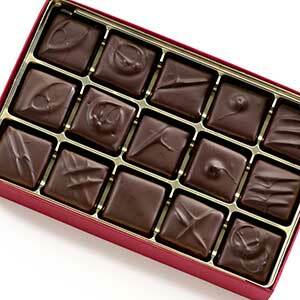 This fabulous assortment features 24 pieces of our most popular chocolates! 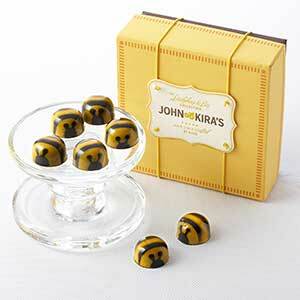 Hand-painted Bees & Ladybugs, signature Every Flavor, and the famous Whiskey Figs make for a thoroughly unrestrained indulgence. 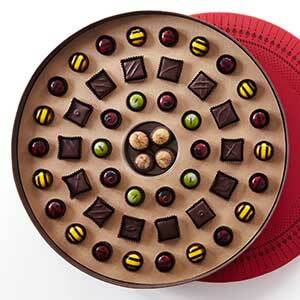 Chocolate Honey Caramel Bees - The 4 Chocolate Honey Caramel Bees in the Palette du Chocolat have a liquid caramel center and a clear, caramelized honey taste. 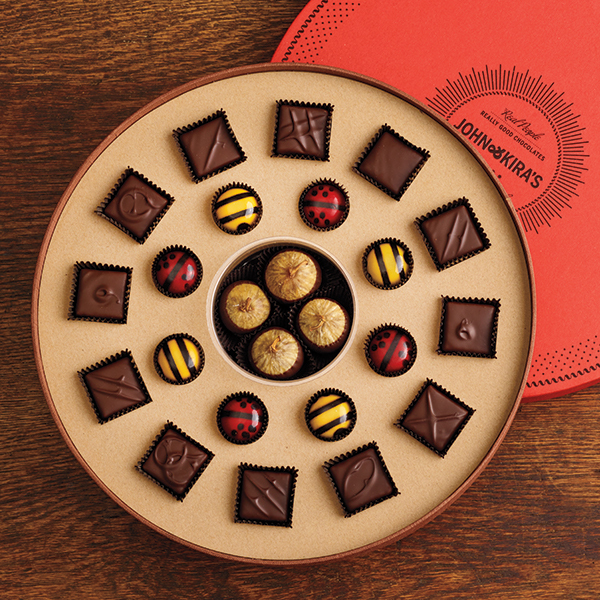 This unique flavor comes naturally from the fragrant clover honey supplied by the Draper Family Apiaries in Millerton, PA. Each of the bees is carefully painted by hand with a paper-thin layer of yellow and black cocoa butter in a 62% dark chocolate shell..
Every Flavor - 12 signature Every Flavor chocolate squares from our classic and most popular collection, featuring all ten of our award-winning flavors. 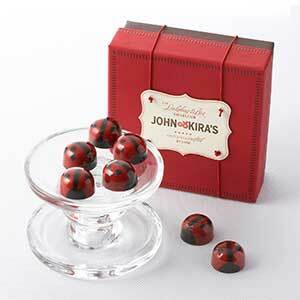 Red Ladybugs -4 Red Ladybugs are molded and hand-painted with colored cocoa butter and filled with a delectable 64% dark chocolate ganache. 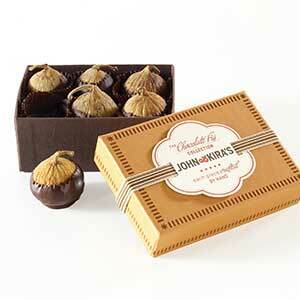 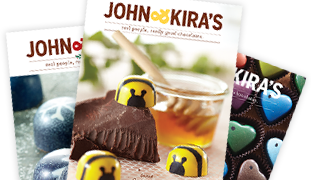 The Palette du Chocolat Petite Assortment is an excellent introduction to John & Kira's fine gourmet flavors!